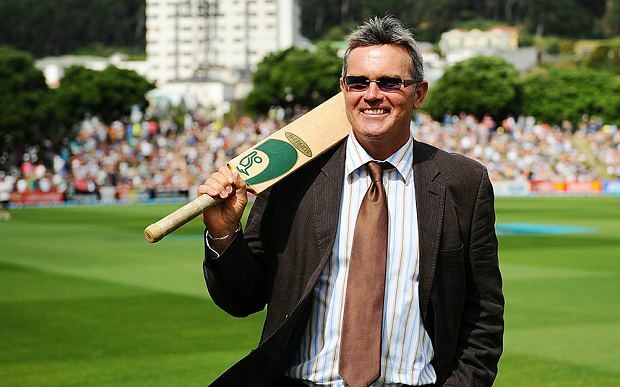 Martin David Crowe MBE (22 September 1962 – 3 March 2016) was a former New Zealand cricketer, Test and ODI captain as well as a commentator. 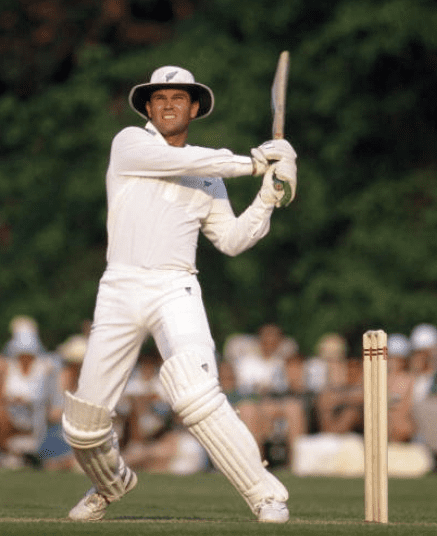 He played for the New Zealand national cricket team between 1982 and 1995, and is regarded as the country's greatest batsman. 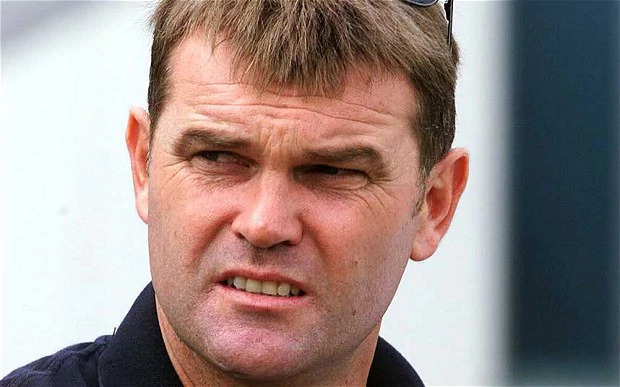 Crowe was born in Henderson, a suburb of Auckland, to a family of cricketers. His father, Dave Crowe, played first-class cricket for Canterbury and Wellington and his older brother, Jeff Crowe, played Test cricket. One of the brothers' first cousins is actor Russell Crowe. 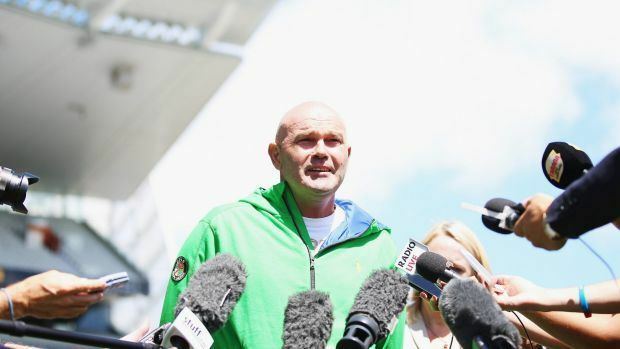 In 1968, Martin Crowe joined his father and brother at the Cornwall Cricket Club, with which he maintained a lifelong connection. At Auckland Grammar School, which he attended from 1976 to 1980, he was deputy head boy in his final year. He captained the school's cricket team, and also played rugby union, as a wing. Crowe made his first-class debut in January 1980, playing for Auckland against Canterbury. Aged 17 at the time, he scored 51 runs in his first innings, which was his team's highest score. 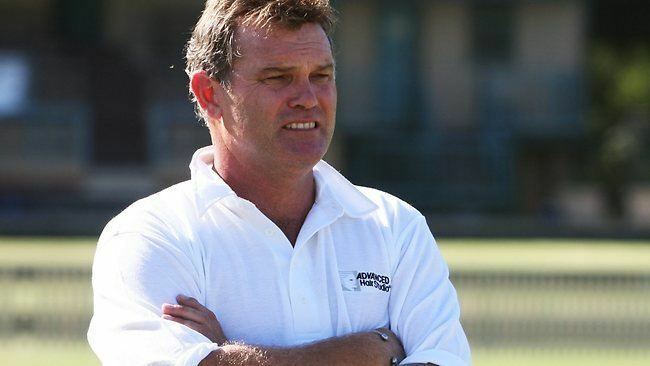 In 1981, having been named New Zealand's Young Cricketer of the Year, Crowe was given the opportunity to spend six months on the ground staff of Lord's, simultaneously playing for the Marylebone Cricket Club. Returning to New Zealand for the 1981–82 domestic season, he scored a maiden first-class century, making 150 runs against Canterbury. Crowe switched to Central Districts after the 1982–83 season. His career for Central Districts was limited by his international duties, but in 32 first-class appearances (from 1983 to 1990), he averaged 68.72, with 13 centuries. Crowe's highest score for the team (and in all New Zealand domestic cricket) was 242, made against Otago in January 1990. That season was his last for Central Districts, as he transferred to Wellington prior to the 1990–91 season. 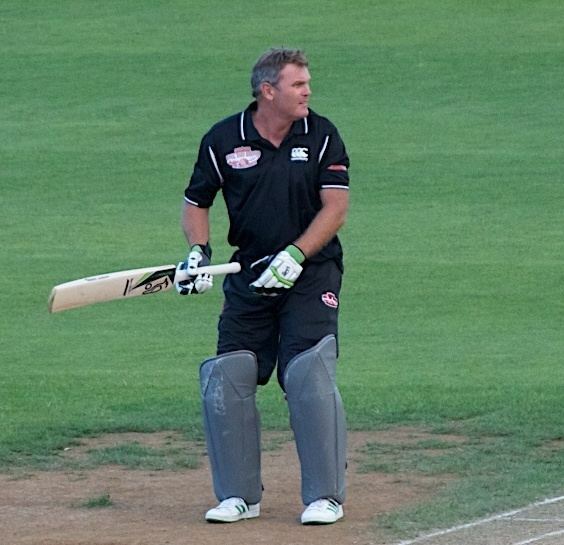 In five seasons for Wellington, Crowe would make only nine first-class appearances, the last of which came during the 1994–95 season. In 1984, Crowe signed to play English county cricket with Somerset. He had great success in his first County Championship season, finishing second behind Vic Marks in Somerset's averages and placing sixth for overall runs scored. However, Crowe did not return to the county until the 1987 season. 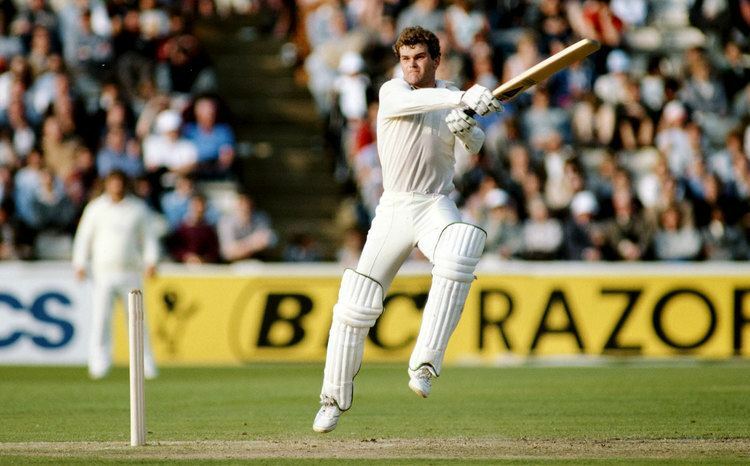 In that year's County Championship, he placed third in the overall averages (behind teammate Steve Waugh and Northamptonshire's Roger Harper), and also placed third for overall runs scored (behind Graeme Hick and Graeme Fowler). Against Hampshire in the 1987 Benson & Hedges Cup (a limited-overs competition), he scored 155 not out from 119 balls, which was to be the highest one-day score of his career. Crowe returned for a final season at Somerset in 1988, but was able to play only a handful of matches. From 48 matches for Somerset, he finished with a first-class batting average of 59.46. 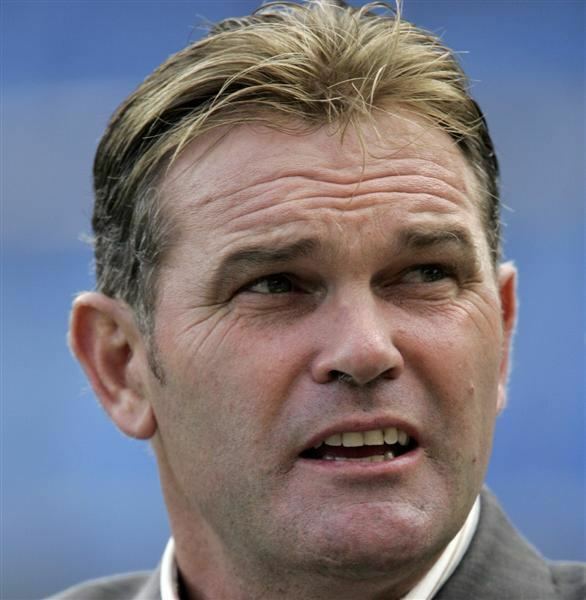 Crowe was first appointed captain of New Zealand for a tour of Pakistan in October and November 1990. Before that point, he had been regarded as "captain designate" to John Wright, who was nearing the end of his international career. Crowe's second series as captain came in early 1991, when Sri Lanka toured. 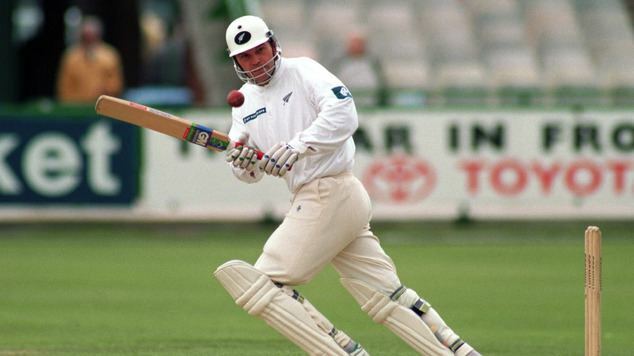 In the first Test of the series, played in Wellington, Crowe scored 299 runs in his team's second innings, setting a new record for the highest score by a New Zealander. He was at the crease for 523 balls and over ten hours, and scored 29 fours and three sixes. Crowe and Andrew Jones (who scored 186) put on 467 runs for the third wicket, setting a new record for the highest partnership in Test cricket. The pair helped New Zealand, behind by 323 runs on the first innings, to score 671/4 at the end of the final day's play, which at the time was the highest score in the third innings of a Test. At the 1992 World Cup, which New Zealand co-hosted with Australia, Crowe finished as the tournament's leading run-scorer, and was eventually named player of the tournament. One of his highlights was an innings of 100 not out in the opening match against Australia, which New Zealand won by 37 runs. In the tournament's group stages, New Zealand lost only a single game, against Pakistan. They topped the table, qualifying for a home semi-final against the same team (their first finals appearance since the 1979 tournament). Crowe chose to bat first, and scored 91 runs from 83 balls to help his team to a total of 262/7. However, when Pakistan batted, he chose to stay off the field and rest an injured hamstring, with John Wright taking over on the field. Pakistan eventually won the match by four wickets. Crowe largely blamed himself for his team's loss, and in a 2014 article said that his decision not to take the field was "a curse that had tormented me for over two decades". In his first series after giving up the captaincy, a 1994 tour of England, Crowe scored back-to-back centuries, making 142 at Lord's and 115 at Old Trafford. His series tally of 380 runs was the second-highest of his career. Crowe continued playing for several more seasons, eventually retiring after a tour of India in October and November 1995. He scored his final international hundred in the first ODI of the tour, aged 33. Crowe finished with 5,444 Test runs and 4,704 ODI runs, both New Zealand records at the time. At the time of his retirement, only Sir Richard Hadlee had played more Tests for New Zealand. Crowe continues to hold the record for the most Test centuries by a New Zealander, finishing with seventeen (including one against every Test-playing team but South Africa). On 15 October 2012, it was revealed that Crowe had been diagnosed with lymphoma. He blamed the illness on a failing immune system, weakened by various illnesses picked up while touring the world in the 1980s and 1990s. In 1991, Crowe married Simone Curtice, an interior designer. They separated five years later, in 1996, and Crowe later entered into a relationship with Suzanne Taylor, with whom he had one daughter. He and Taylor separated in 2005. In 2009, Crowe married for a second time, to Lorraine Downes, a former Miss Universe. They remained married until his death.